Learn about Google’s Newest Mobile Offering, Google GoMo! 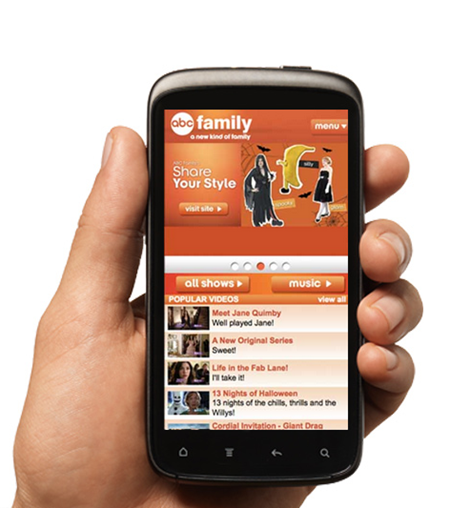 Mobile Advertising has been a hot button topic in recent years. With the rise in use of smartphones, be it Android or iPhone it has been said that by the year 2015 that over half of people with mobile devices will have a smartphone and will use that phone to browse the internet and complete a purchase online. While the small to mid-size companies may not have the time, resources or budget to create a mobile presence for their site, Google has initiated an offering called GoMo that will allow the ability to create a mobile site with professional templates and have it hosted on Google’s platform. One unique feature of this offering is that it gives you the ability to take your current site and see how it looks on a smartphone. The result is a report on what is working well as well as areas for improvement that can be taken to improve your site. 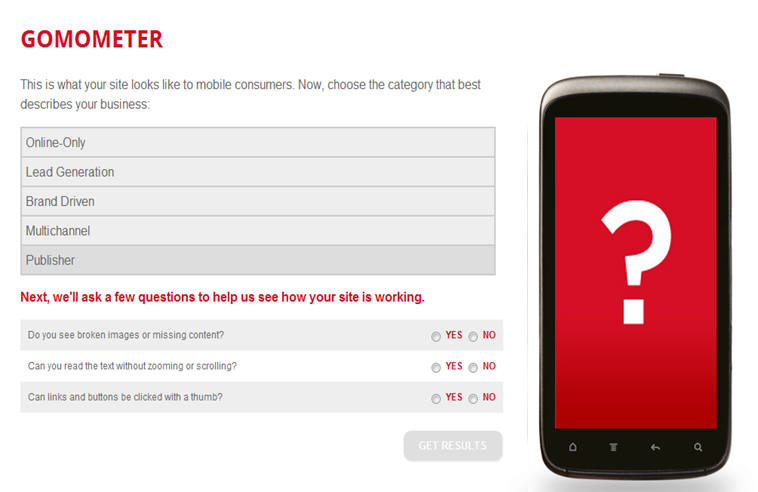 How you go about testing your site is as easy as entering in your current webpage. 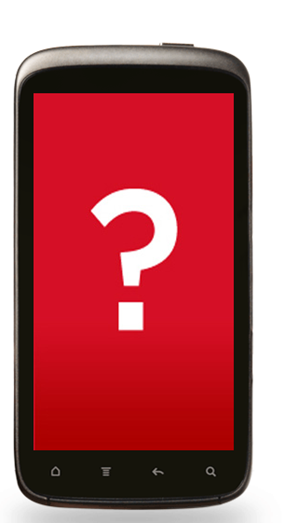 What happens next is an image of what your site would look like on a smartphone along with a list of questions that comes up regarding the type of business your site is as well as some usability questions, such as broken images or missing content, view ability without zooming on or scrolling below the fold as well as the ability for the links on your site being thumb clickable. 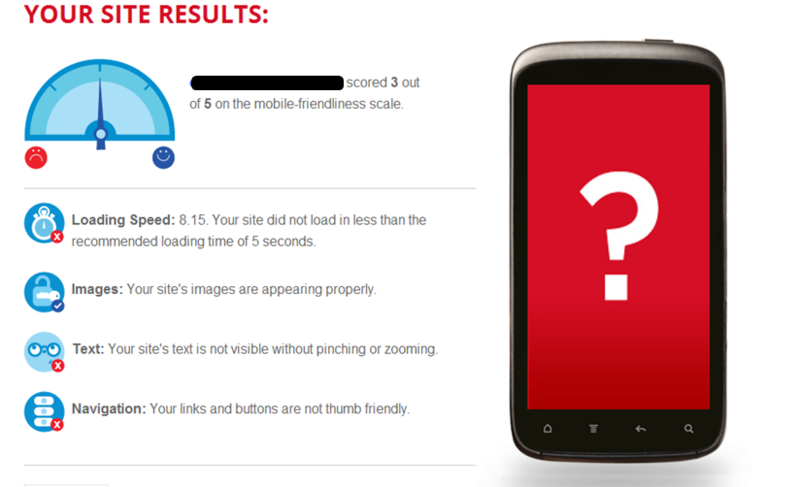 After answering the questions, you get a high level site results page, giving you a score out of 5 on how mobile friendly your site is, speaking to such factors as Loading Speed, Images on your site, the view ability of your text and last but not least how it is to navigate through your site. While high level on the screen, there is an option to download a more detailed PDF report which gives a more personalized analysis and gives advice for making your site more mobile friendly. A more detailed analysis on the loading speed of your site. In my opinion this is a good way for the smaller sites with limited budget to get their mobile site up and fast. On a budget perspective, it does come free for 1 year and then costs $9 a month afterwards so it is a good cost alternative. The only drawback I have for this is the fact that while fast it comes off as a site on Google’s server and not the more authentic m.abc.com mobile platform. That being said, the insights gathered from the GoMoMeter report are valuable to use in bringing to a developer to use in determining how to build and then optimize your mobile site. So if you haven’t had your site optimized for mobile or am looking for feedback on what should be done in order to make your site mobile friendly to capture this rising number of visitors, then I would recommend taking a look at this Google offering.